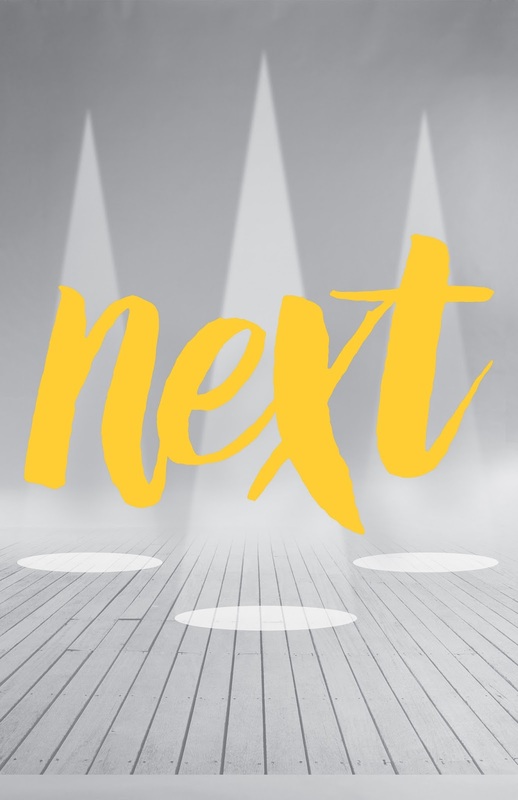 Last year, Theater Latte Da announced an exciting new program called NEXT 20/20, in which they committed to developing 20 new works of music-theater by 2020. Part of this program is their annual New Works Festival called NEXT, now in its 4th year. They hold workshops of three works in development and present three readings of each on three consecutive weekends. Now, when you hear the word "reading," you might think dry and dull reading from a script. But that's not what this is. Latte Da recruits some of the best music-theater talent in the Twin Cities to not just read these musicals or plays-with-music, but to really bring them to life so that the creators (and we lucky audience members) can get a glimpse of what they might become on stage. And the audience is actually an important part of the process for the creators. Each reading is followed by a brief discussion period in which audience members can give feedback to the creators that will help them continue to develop the work. It's so exciting to be part of the process of creating new original music-theater (my favorite thing)! Two previous NEXT pieces received full productions in Latte Da's 2015-2016 season (Lullaby and C.), and with their new season announcement coming up soon, I'm excited to see what new music-theater we will be treated to next season! This year's NEXT festival includes three very different and exciting new projects. If you're a fan of music-theater, I highly recommend you check out one or more of these readings to get a taste of the future of music-theater. A three-show pass is just $30. For more information on the shows, performance times, and tickets, see Theater Latte Da's website. "In Appalachian coal-mining territory, a devastating cave-in forever changes and intertwines the lives of three imperfect women – who soon find themselves swept up by forces beyond their control. This epic, imaginative “mutation” of Greek myths interweaves traditional folk music with magical realism to create a new mythology examining the forces (both seen and unseen) that shape our lives." "The Urban Farmer’s Almanac, in its first trial run, is a live-performance written-for-radio variety show about raising food and living close to the ground in the city. Dan Chouinard is host, with a crop of guests bringing stories and first-hand how-to, from rooftop beekeepers to basement cheesemakers, backyard bakers to vacant lot farmers. Plus lots of music, history and lore. A fresh local take on a growing global movement." "The Illyria Project is the story of Viola, a barista and aspiring rapper who seizes the opportunity to fulfill her dream of becoming a star when she finds out about an audition for a new hip hop show, Shipwrecked, The Musical. A hip hop musical with a book written entirely in rap verse and performed over beats, The Illyria Project weaves together soul, rock, and rap music in a rollicking interpretation of Shakespeare’s Twelfth Night."